Ask a Guy: How Can I Help Him Get Over His Emotional Issues and Baggage? I have known this guy for two years now. We started off as friends, had a bit of a romance, then broke up and we are now starting to be friends again. I feel like I was always the one who was more invested in the relationship. He is very guarded and emotionally unavailable and has past issues that he doesn’t want to confront. So my question is, how do I support him with that kind of a baggage as a friend now? How can I make him understand that even though we are starting fresh, we still have a past and some things could come back to us in the future unless we solve them now? And how can I maintain my confidence and self-respect now and not get emotionally swept away again, like I did before? We have come far and I never thought it would be possible to try and be friends again after a romantic history, but I also want to avoid making the same mistakes I did before. What should I do? 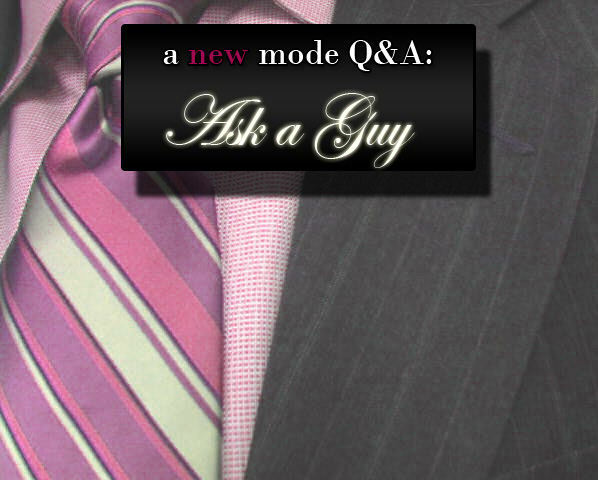 Ask a Guy: How Do I Show Interest Without Looking Needy? I’ve been seeing this guy who I really like for about two weeks now. He really is the perfect guy and has everything I want in a guy. I haven’t had much luck with men so I’m really excited about him, maybe too excited. I’d wish I could spend all my time with him and I’m scared of seeming too needy or desperate. I’m trying to stay in control and not text him more than twice a day or nag him on messenger if he doesn’t want to talk for very long.